Checked out the new Circuit City sims. I looked high and low, but found no iPod Nano. 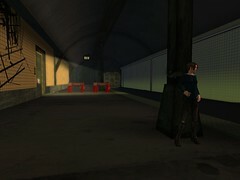 What I did find was this awesome, atmospheric subway scene.